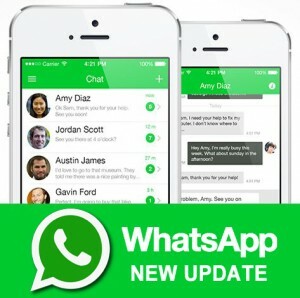 Whatsapp now enables a new feature which allows users to retrieve messages of reported contacts or users. This update became available on the latest version of Android beta version 2.18.246. This Whatsapp new feature works on group chats and contacts, and also non-contact. This feature was first reported by WABetatInfo. Previously, when you receive an offensive message from a user on whatsapp, you click on the report Spam i.e report & block on whatsapp and then the person is blocked and chats are deleted. Now guess what, when you report a user's conversation, the chats aren't deleted when the user is blocked. It can be done manually by the victim. The reason for this is best-known to whatsapp, but i believe this was made for the benefits of whatsapp users just like the new whatsapp group chat video call. Now users can save chat's histories for proofs of offensive messages and media files. Click on “Report” on an individual chat and then you should see,”Report this contact?”, followed by a check box that users can tick to block and delete individual chat’s messages. Nice that this is now enabled.